As evidenced by this year's elections in Mexico and Brazil, people across the region are increasingly disenchanted with traditional parties and the democratic status quo. BUENOS AIRES — It's now been 40 years since the so-called "third wave" of democratization kicked off in Latin America. And right on cue, many of the region's democracies are experiencing what seem to be veritable mid-life crises. As the results of this year's Latinobarómetro poll indicate, Latin American democracy is going through a seriously rough patch. On average, support for democracy has fallen across the region, from 53% last year to just 48%, the lowest level since the financial crisis of 2001. Disaffection, in the meantime, is on the rise, as is indifference (people who don't care whether they live under a democratic or authoritarian system) — up 12 points in the past eight years, from 16% to 28%. The poll found that young people (aged 16-26) are particularly indifferent, which could have grave ramifications in the future. The poll found that young people (aged 16-26) are particularly indifferent. Across the region, more than two-thirds of people (71%) say they are dissatisfied with the way democracy works, up from 51% in 2009, while just 24% express satisfaction with the system, the lowest level in 20 years. Among the nations in Latin America, Argentina ranked fourth in terms of support for democracy, at 58%, behind Venezuela, Costa Rica and Uruguay. With regards to satisfaction, it ranked fifth, at 27%, behind Uruguay, Chile, Costa Rica, and Ecuador. In most countries (Bolivia, Chile and the Dominican Republic are exceptions), respondents to the Latinobarómetro poll cited economics as their primary concern. Only 20% feel that things are improving economically. Nearly 50% believe economic progress has stalled, and 28% think things are getting worse. In Argentina, a serious recession and complicated social situation resulted in a 14-percentage-point drop in five years (tops in Latin America) in the number of people who termed themselves "middle class." Second on the list of concerns for Latin Americans is crime, including in relatively safe places like Chile and Uruguay. Corruption, on the other hand, ranks as a top concern in only seven countries — Colombia, Peru, Brazil, Bolivia, Mexico, Paraguay, and the Dominican Republic — despite its pervasiveness in the region and the gravity of certain high-profile cases. In Argentina, which has had a string of major corruption cases, only 3% of people cite it as one of the country's main problems. This discontent and sense of frustration has a negative impact on the legitimacy levels of institutions, and especially affects parliaments and parties, whose credibility has fallen to 13%. Voters are turning their backs on the political establishment and pinning their hopes instead on populist candidates, from both the left and right, as evidenced by the recent victories of Andrés Manuel López Obrador in Mexico and Jair Bolsonaro in Brazil. Their victories were made possible by low levels of support for democracy (34% in Brazil and 38% in Mexico), indifference to democratic v. authoritarian systems (41% in Brazil and 38% in Mexico), and very low satisfaction levels with the way democracy has been working (16% in Mexico, 9% in Brazil). Also, in both countries, people are angry with mediocre economic conditions and extensive corruption and crime. And it's not just how people feel about democracy. There has also been a marked decline in the quality of Latin America's democratic systems, as The Economist observed in its 2017 Democratic Index. The British weekly sees Uruguay as Latin America's only mature democracy. It classified other countries as having either flawed democracies (Argentina), hybrid regimes, or authoritarian governments (Venezuela and Cuba). So what exactly is turning so many people away from democracy? The lack of results. It's not that Latin Americans want more authoritarian rule. These days people are more pragmatic than ideological. What they seek are governments that will listen to them, operate with transparency and provide opportune and efficient responses to people's demands. The numbers should be read as an early alarm bell. Is there a risk that democracy could collapse region-wide? In the short term, no. But if the quality of our democracies continues to deteriorate, the populist and authoritarian trend is likely to gain even more momentum. 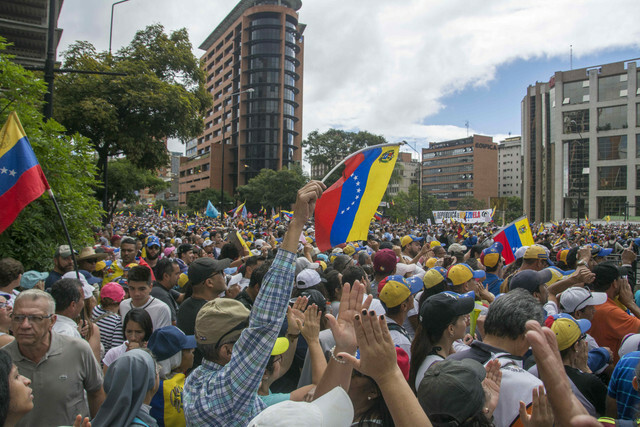 In this scenario, more and more Latin Americans would be prepared to forego certain aspects of democracy in return for more economic welfare and security. And in that sense, the Latinobarómetro numbers should be read as an early alarm bell. What should be done? A new agenda of actions is needed to recover the trust of citizens in politics, national elites, and institutions, expand spaces for public participation, and assure the effective nature of citizenship. The aim should be to strengthen governance and lay the foundations for a new phase of higher-quality democracies that can weather crises and complex challenges, such as the disruptive changes of the Fourth Industrial Revolution. We need governments, in other words, that can not only resist and recover — but also innovate.